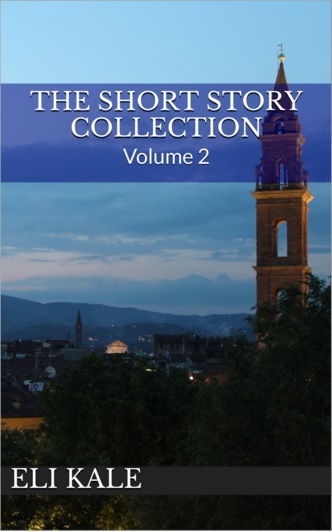 After much time of fiddling with different ideas and developing nascent stories, I’ve finally arrived to the point of releasing a new volume of short stories! I originally wanted to publish this ebook shortly after Unguarded came out earlier this year, but I opted to focus my writing efforts on Imminent. At that point I thought, “I’ll get the new volume out by summer.” That didn’t happen. “Early fall, perhaps.” That didn’t happen either. My goal, then, was to release it by my birthday in February. However, my writing muse intervened and urged me to finish the work and finalize the stories, one of which was already completed. I sent the other two off to a friend for some feedback, which I quickly got back and implemented. After a final read-through, I submitted the ebook to be released through Amazon, and it was done very quickly. I submitted it Thursday night and it went live within a few hours, having the official release date of October 15. You can check it out and purchase it on this sales page! Like my first volume, the stories in Volume 2 vary from my larger projects with regard to different aspects, such as scope and story premise. That’s been the whole goal all along: to produce new content that is different and that allows me to experiment with my writing. So I encourage you to pick up a copy on your Kindle (or through your Kindle reading app) and let me know what you think about my new work. I hope you enjoy it! Progress is being made with the edits for Imminent, with everything still on track for an early December release. This story is really coming together as I’m going back through and addressing changes or additions from my editor. The idea is that she’ll complete her work by November (thus allowing her to do NaNoWriMo), which then will give me a month to go through and do my final read-throughs. My goal is to submit the final manuscript to Amazon by November 30 so that it can be available for purchase by December 11. Details regarding pre-order for Kindle and the costs for both formats (print and Kindle) will be given when the cover is released – sometime in the next few weeks. Barring any major impediments, you’ll have another WWII historical fiction book by Christmas! Due to Volume 2 being released, I had to take care of the book’s details in Amazon Kindle Direct Publishing (KDP). There’s a YouTube video that covers this on my channel, so feel free to check it out. I’ll say that it would be good to explore the ins and outs of Amazon KDP before you are ready to upload your book. This way, you are familiar enough with how it works and what all needs done in order to complete the uploading process for publication. That is, if you’re wanting to sell your work on the Kindle platform. Personally, I only sell through Amazon. Everyone has their own reasons for choosing what platform(s) they sell their work through, and each certainly has its own draw. So if you’re in a position where you have a manuscript nearly ready for publication – and you want to sell it on the Kindle – I suggest you log into KDP and get acquainted! That’s it for this week, but there’ll be more in the coming weeks! Thank you so much for reading this post, and for your support and encouragement of my work. If you haven’t yet done so, I encourage you to join my mailing list (you can email me with a brief “Hey, how are ya? I wanna join the mailing list!” at elikale.author@gmail.com) to get the most detailed and behind-the-scenes information regarding my projects, especially Imminent!